Fans are still reeling after Fox announced their hit show, Brooklyn Nine-Nine, has been cancelled after just five seasons. Rumours about the show’s cancellation were circulating online yesterday (May 10), which studio Fox finally confirmed, breaking the hearts of millions of fans. However, it isn’t just fans who are devastated by the cancellation, the show’s cast have also been reacting to the news on social media. 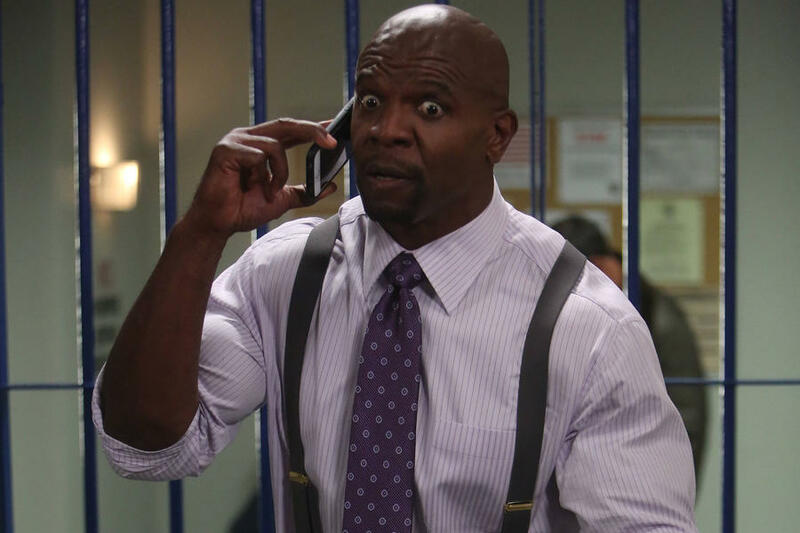 Actor Terry Crews, who plays Detective Sergeant Terence ‘Terry’ Jeffords, was one of the first to announce his sadness on Twitter. Sharing a link to a news article about the show’s cancellation, Crews simply wrote ‘thank you everyone’ followed by a crying face emoji. As fans come to terms with the news, it’s no wonder the tweet has received 48,000 likes at time of writing (May 11). Now would be a good time to get loud Nine Niners. After the cancellation became official, it was clear Melissa had been left broken-hearted by the decision, retweeting fans’ reactions. I am still processing… don’t have all the words.. but… these last five years have been incredible. Thank you for all your love and support. We have the best fans. It’s been a huge honour to play Amy and be a part of this tremendous ensemble. NINE NINE! Fan favourite Chelsea Peretti, who plays hilarious administrator Gina Linetti, attempted to make us all feel better by tweeting a meme of her character saying ‘you’d make a decent prostitute’. Joe Lo Truglio, Brooklyn Nine-Nine‘s Charles Boyle, also took to Twitter to share his thoughts on the cancellation. I love you fans. I love you squad. It has been an incredible five years. I’m so very lucky, so deeply thankful to have been part of a show that has brought so much joy to so many. NINE-NINE! Joe also shared a collage on Instagram, full of behind the scenes photos of the cast having fun on set. Take nothing for granted. Look around at the love. Be thankful. It all goes by so fast, kids. It’s clear the news of the cancellation has hit him hard. Finally Rosa Diaz, played by actress Stephanie Beatriz, tweeted a meme of her character saying ‘your sadness has been noted’. Squad, we love you. What a gift this series has been: it’s been my honour. Your sadness is noted. NINE- NINE! 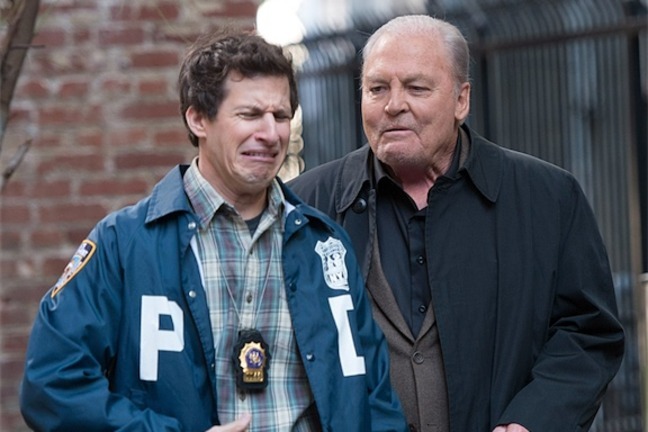 Brooklyn Nine-Nine‘s season five finale – which focuses on Jake (Andy Samberg) and Amy’s (Melissa Fumero) wedding – will now be the show’s last episode, airing on May 20. There’s still hope though another network will pick it up in the near future, meaning this might not be the squad’s last hurrah! For now, Nine-Nine we will miss you!